Depending on their account level, members also gain VIP access to premium events along with the opportunity to enjoy quality experiences – polo matches, helicopter rides and private chauffeurs to name a few. It’s a high flying investment club accessible to everyday people. The founders chose the experienced Newpath team as their partners. Tasked with developing the mobile product, we worked off a collaboratively developed brief, to reimagine the Android and iOS experience through UX design and an Agile development framework. The discovery process was began with the intent to keep the UI simple, functional and engaging. 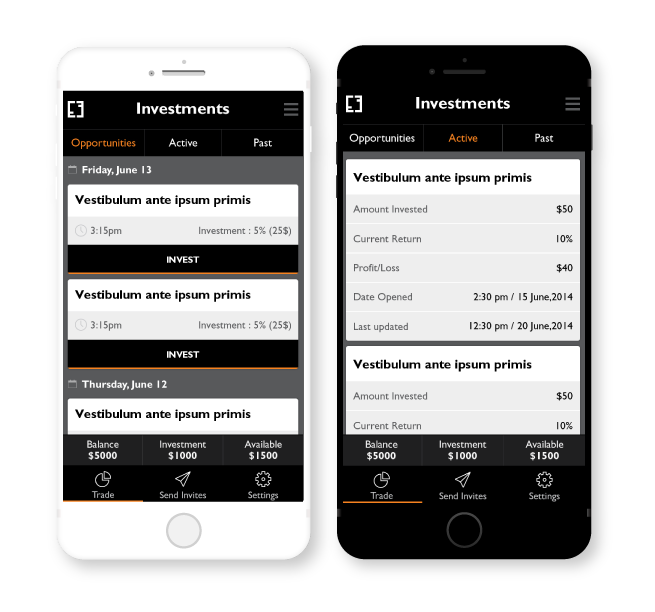 Using a tired account structure, the app needed to allow members to apply for investments and track investment performance, send customised event invites to friends and manage their responses, schedule deposits/withdrawals, arrange membership upgrades and profile updates, and deliver monthly investment reports outlining their performance and progress. As a startup, Empire Club required a full solution from product design to frontend development, backend development and DevOps. As finance and banking industry disrupters, much of the workflows had to be developed from scratch and be pin point perfect. Empire Club is high end yet accessible. This meant the balance of design and performance was critical. It was incredibly important to, not only ensure their digital assets capture the sophistication and flavour of the brand, but that the applications would also work seamlessly to draw in, and share, data from multiple sources. Getting into the nitty gritty, a range to technologies were put to use throughout the project. The mobile application was built using a Spring framework, a Tomcat 8 application server, Hibernate as the ORMS, Eclipse luna as the IDE and DK 1.8. MySQL powered the database. The iOS application was built using swift while the Android application utilised Android SDK. Project specific third party services included Stripe, VIX Verify and Mastersoft. The final product offers visitors a wealth of engaging data-driven visuals and easy opt-in to upcoming events. Combining simplicity with subtlety the app delivers an outstanding experience for their growing membership base. Delivered on schedule this Australian startup were ready to kickstart their entry into the innovative mobile investment industry with two mobile apps (iOS and Android) a company website and a business packaged and ready for market. 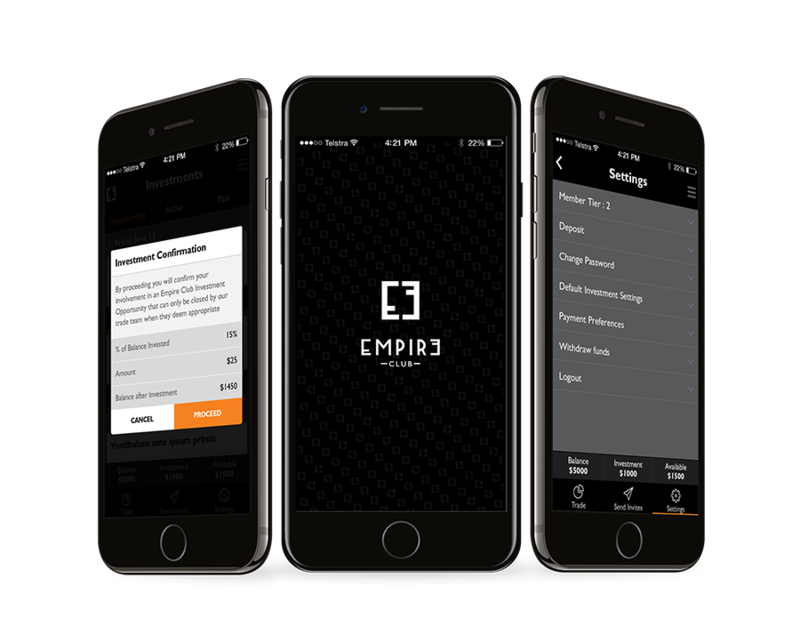 The new mobile application establishes Empire Club as a brand to watch and sets the standard in the Australian mobile investment sector. 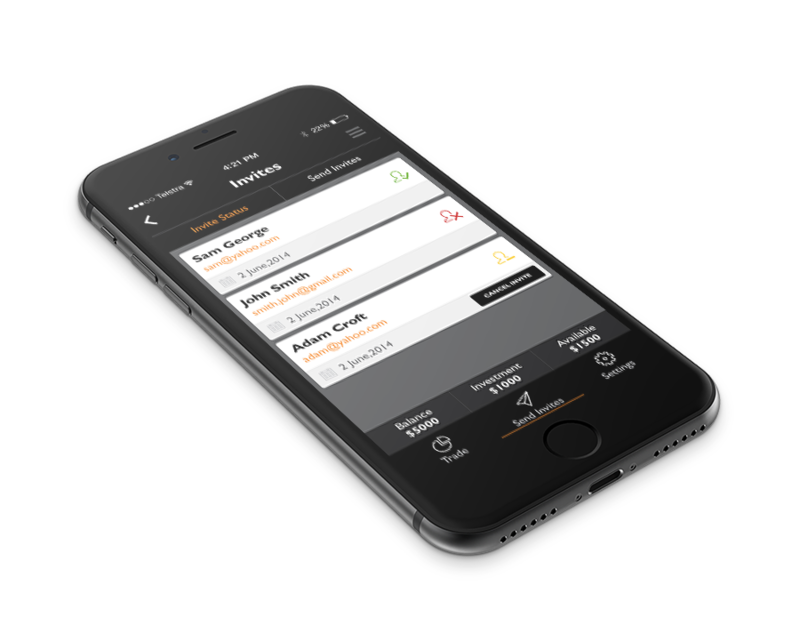 A growing membership base alongside positive press allowed the company to find their feet and extend their app functionality to meet market demand.